Every day, thousands of motorists are pulled over and issued traffic citations for anything from rolling a stop sign to reckless driving and everything in between. Of course, nobody wants to receive a traffic ticket—and most officers don't even like writing them. That's why, by following a few simple officer-interaction tips, you can increase your chances of avoiding a traffic ticket and instead get off with a warning. 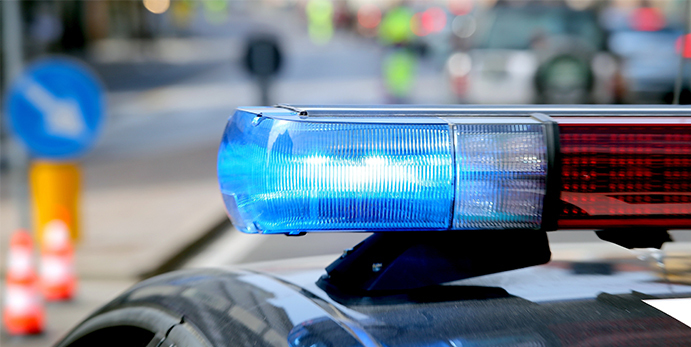 As soon as you see lights and hear sirens behind you, it's time to pull over as soon as it's safe for you to do so. If you're on a freeway, immediately put on your turn signal to get over onto a shoulder, as this will be the safest and closest place for the officer to conduct the stop. Don't wait until you get to the next exit to pull off the freeway and into a parking lot; this will aggravate the officer and may even lead him or her to believe that you're trying to run away. If you find that there's nowhere safe to pull over your vehicle right away, be sure to turn your right blinker on to indicate to the officer that you intend to pull over but are waiting to find a safe area to do so. As soon as you're safely pulled over, shut your car off completely and set the keys on the seat next to you. This will help to show the officer that you have no intention of trying to run or cause trouble, putting him or her at ease and possibly even leading the officer to approach you more favorably. If it's dark out when you get pulled over, be sure to turn on the dome light in your vehicle (most cars allow for interior lights to be turned on, even once the car has been shut off). This will show the officer that you're not trying to fidget around or reach for any potential weapons. It shows that you have nothing to hide and are ready to comply. While you're likely going to be asked for your driver's license, registration, and proof of insurance, it's always best to wait for the officer to ask you directly for it. Reaching around in your vehicle could be interpreted by the officer as you trying to grab a weapon or even hide something illegal. Instead, roll your window down and keep both hands on your steering wheel until the officer instructs you to grab your documentation. Last but certainly not least, avoid trying to offer excuses for your driving; honesty really is the best policy when it comes to avoiding a traffic citation. If the officer asks, "do you know why I pulled you over?" and you know you were speeding, admit to it. Don't try to offer excuses, such as "I was just keeping up with the flow of traffic" or, even worse, "I just wanted to get home." Believe it or not, honesty goes a long way with most officers. If you're willing to own up to your mistake, there's a pretty good chance you're not going to get a ticket—assuming you weren't going double the speed limit or engaging in seriously reckless driving. Of course, the best way to avoid a traffic citation is always to obey laws while behind the wheel, but everybody makes mistakes, and these tips can be useful for those situations. For more information on traffic safety or to become a safer driver, consider enrolling in an online traffic course.